We hold immense expertise in manufacturing, exporting and supplying quality proven range of Industrial Evaporators. These machines evaporate the unwanted volume of water or any other kind of solvent substance from solid substances. These machines are manufactured under the supervision of our expert professionals using quality tested raw material that had been sourced from certified vendors of the market. With our immense domain expertise, we are offering Falling Film Evaporators that are highly durable in nature and facilitate flawless performance. 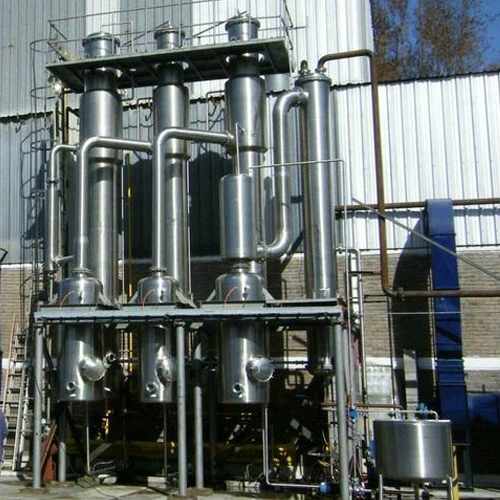 These evaporators are used to evaporate the unwanted volume of water or any other kind of solvent substance from solid substances. Owing to their excellent quality and other top of the line features, these products are in wide demand and are getting excellent appreciation among our clients. In order to ensure their quality, these are manufactured at our highly developed infrastructure using superior quality input. These evaporators are ideal for low temperature applications and for high thermal efficiency. 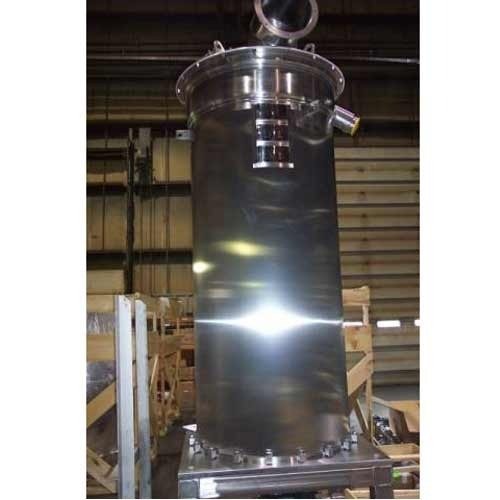 Our company is one of the noteworthy names engaged in manufacturing and supplying a quality range of Rising Film Evaporators that is widely used for the liquid with fouling tendency or high viscosity. These are manufactured using premium quality steel & aluminum with sophisticated technology in order to ensure excellent quality and dependability. These products are highly durable in nature and resistant to various adverse conditions. With rich industry experience, we are presenting our clients a quality range of Forced Circulation Evaporators. These products facilitate long lasting performance and are manufactured at our highly developed infrastructure using high grade raw material. 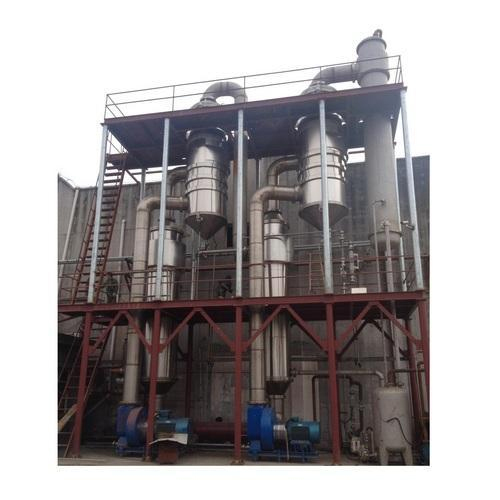 Our evaporators are widely utilized for processing liquors, crystallizing duties, thermally degradable materials concentration and inversely soluble materials concentration. They are widely used in various industries for their rigid construction, accurate dimension and resistance to abrasion and corrosion. 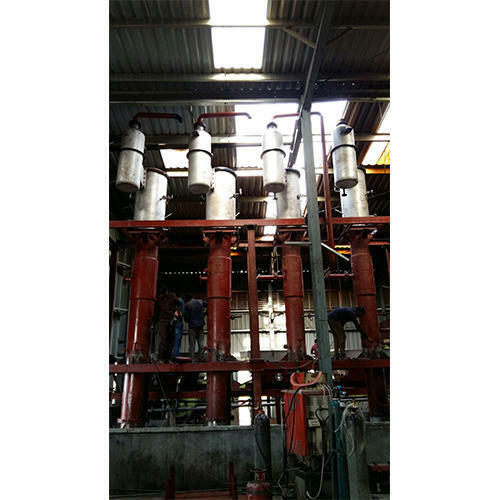 The goodwill we have gained in the market is due to our offered Agitated Thin Film Evaporators. 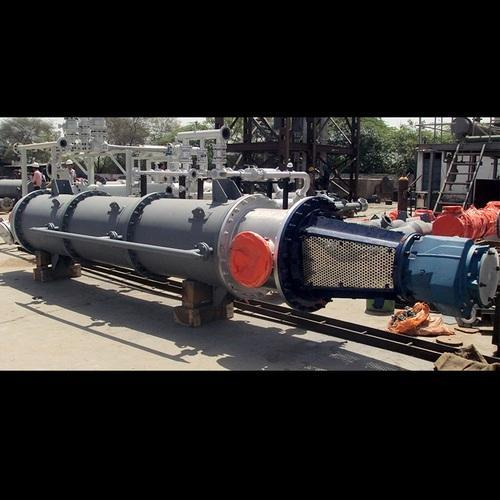 We manufacture these machines using superior raw material procured from our most trusted and certified vendors at our highly developed infrastructure units. These evaporators are used to separate a mixture of liquids having different boiling points and to increase the concentration of liquids. Our offered products are highly resistant to abrasion and corrosion and facilitate a flawless performance during their service life. Moreover, our clients can avail these at very nominal prices. We are successfully ranked amongst the top manufacturers and suppliers of Scraped Surface Evaporator. To manufacture and provide superior quality products to our clients, we source fine quality raw material from trusted and certified vendors of the industry. This evaporator is manufactured using advanced technology and is quality tested to ensure their compliance with the pre-defined industry standards. Further, this range is widely used for evaporating the heat sensitive material under high vacuum using thin/scraped film technology. 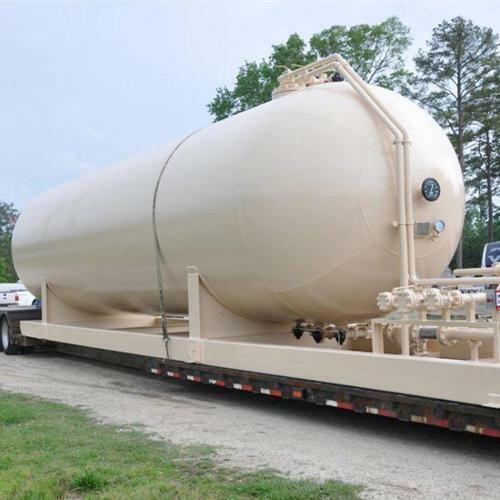 The product(LPG Storage Tank) that will return the true value of investment and become sole cause of organizational growth.